Book Tickets & Package below. 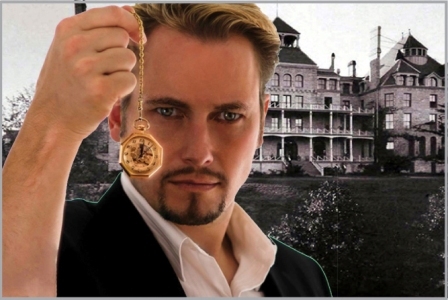 Eureka Springs Paranormal (ESP) weekend at the 1886 Crescent Hotel has evolved over seven years. 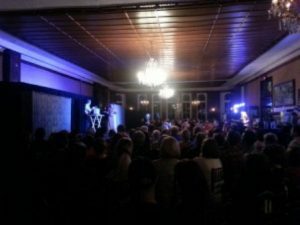 What began as an opportunity for paranormal investigation groups to explore the active areas at night for one weekend in January, has grown to a two-weekend, two-hotel investigation – and not only of ghosts. The phrase Extra Sensory Perception refers to the mysterious powers that some people (and maybe all people) possess, that seem to defy the laws of space, time and even logic. You will have many opportunities to explore your own psychic abilities at ESP19, our interactive weekends – opportunities to share your experiences, feelings, questions, realizations with other companions on the quest. And at night we will be attempting to communicate with those who linger in this hotel long after their bodies are dead and buried. Paranormal Pair Package for a Limited Time! The tours will begin in the 4th floor Faculty Lounge, where audiences will hear the classic stories handed down over generations at the “most haunted hotel in America.” The tour will then proceed to locations where the storytelling will not interrupt guests who are trying to sleep, including the lobby, the outdoor firepit and of course, the Morgue. The October Special Late, Late Ghost Tours will be offered at 10:00, 10:30 and 11:00 pm on Friday and Saturday nights, starting September 30th. The one-hour, two actress supernatural comedy-murder-mystery-thriller, Not Really a Door and Flickering Tales, the program of authentic Ozark tales told around the outdoor fireplace, will be resumed in November. Flickering Tales will also be offered Wednesdays, Thursdays and Sundays during October.